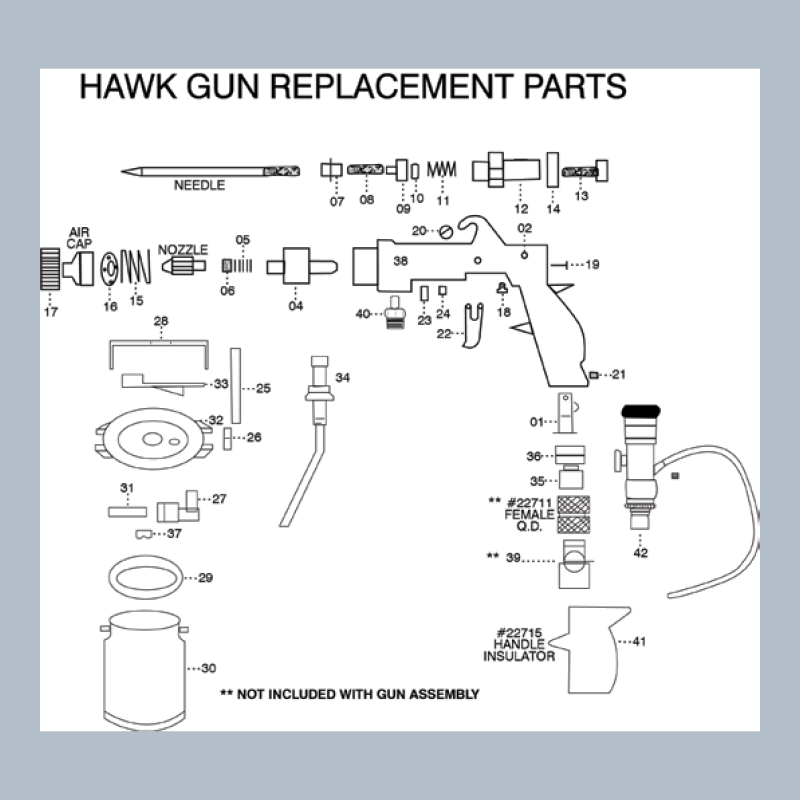 American Turbine Spray Guns | Hawk Research Laboratories, LLC. 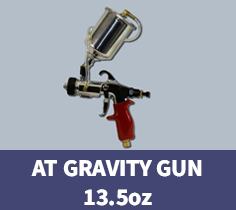 American Turbine’s high volume low pressure paint spray gun is typically used for covering large surfaces like bathtubs, countertops or cabinets. 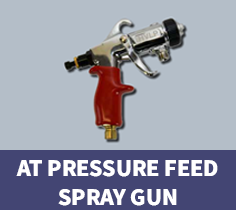 Same design as American Turbine’s 710 spray gun and allows for direct fitment of a fluid hose to facilitate spraying from remote pressure pot or cup. 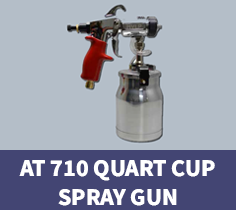 American Turbine's model 710 spray gun fitted with 20oz gravity cup. 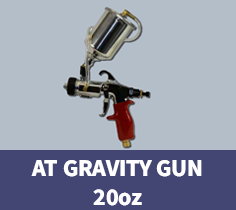 American Turbine's model 710 spray gun fitted with 13.5oz gravity cup.